Meta tags are HTML tags which are used on the heading of web pages. Websites require Meta tags to be visible on search engines. It is what search engines use to generate search results. Meta tags are normally used to boost search engine optimization. Therefore, it is vital to use the Meta tags which can easily be recognized by search engines. Here are just some of the tools that you can use to check for suitable Meta tags. Therefore, it is vital to use the Meta tags which can easily be recognized by search engines. Here are just some of the tools that you can use to check for suitable Meta tags. 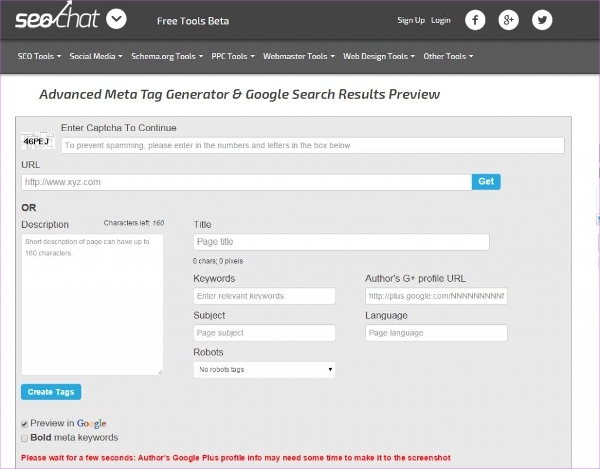 Free Meta tags generator allows you to customize Meta tags for your website. All that you require is the title of the web page and a brief description of the web page. You also have the option of choosing the language used on your website. You will get the Meta tags suitable for your site. 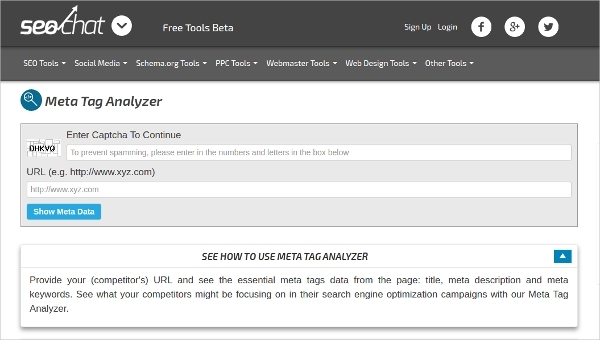 Meta tag analyzer allows you to check the suitable Meta tags for your website. This tool allows you copy and paste the URL of your competitor. You will get to know the met tags that your competitors are using. The result that you will get is Meta descriptions, title and Meta keywords. 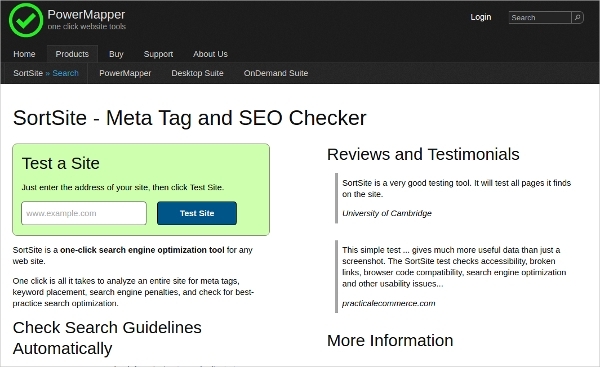 Meta tag analyzer is a way that will give you information regarding your web page. 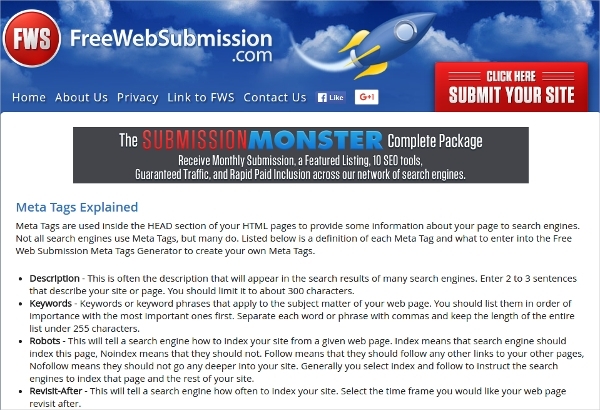 The tool gives you an in-depth analysis of your WebPages and Meta tags. It also analyses the keyword, heading tags and images from the webpage URL. Check your Meta tags easily by simply copy pasting the link of your website. Buzz stream allows you to enter URLs to this site. You will get a title tag which you can use on your website. You also get descriptions and keywords along with the title tag. You do not have to install this tool because all you have to do is just copy paste and you get the result that you need. 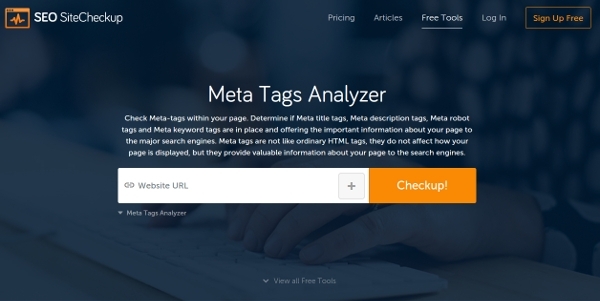 Meta tags analyzer allows you to check if Meta tags are in place. You can use this tool to check if the information about our website is correct. Meta tags will give the relevant information regarding your website to search engines. Just paste your website URL and click on checkup. Sort site is a search engine optimization tool that allows website owners to analyze Meta tags and keyword placement. It is an automatic tool that enables you to perform a number of search operations. It is a good site to perform your testing because of its simple procedure. 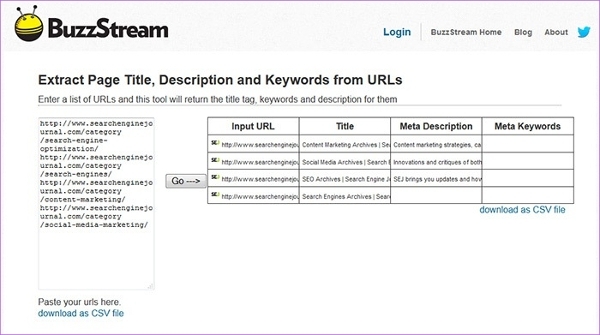 The SERP tool enables content publishers to create page titles as well as Meta tags. This tool can enable you to increase the click rate for your website. The search results will give you the title, Meta description, URL and rich snippet. 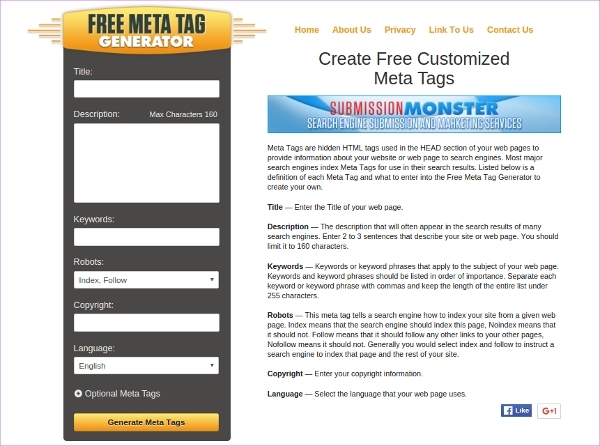 Free meta tags generator is a tool that is easy to use. To use this tool, you need to give a brief description of your website and the keywords that you want to search. The copyright and author information are also required. The tool allows you to choose the language to use. 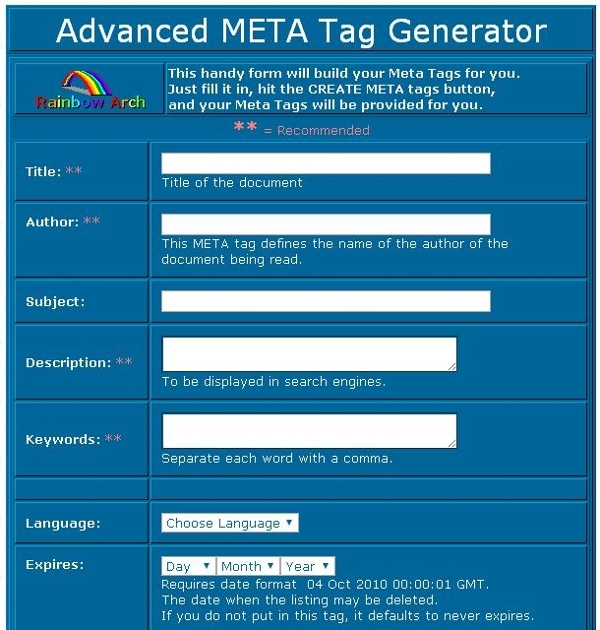 Advanced Meta tag generator allows you to generate tags from your web page. You can preview the listing. Once you get your search, you can download a screen shot of your listing. It is very easy to use and saves you time. Meta tags tools can be use for different operating systems. If you did not get the right tool for you platform from the ones given above, then you can have a look at the list below. There is no doubt that you will get the right fit. 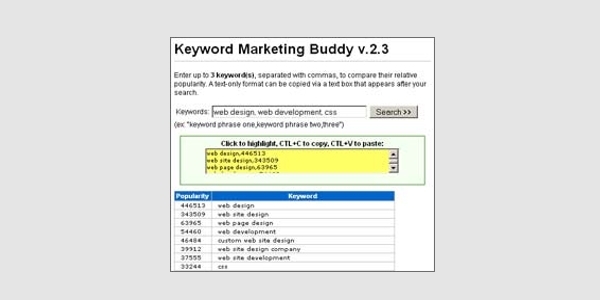 Keyword marketing buddy is a tool that enables you to compare the keywords that are popular at given time. To get the keywords that are popular, you need to enter the keywords you want to search. This tool will rank the keywords according to their popularity. However, in order to use this tool you need to install PHP. What are Meta tag tools? Meta tags are important for websites. As a result, it is vital to get the right Meta tag to use for your site. Searching for the right Meta tag manually is not only tiresome but a complete waste of time. For this reason, Meta tag tools are crucial. These tools are important to enable website owners search for the right keyword to use for their niche market. How to install Meta tag tools? The good thing about these tools is that you do not need to install anything on your website. All you are supposed to do is simply copy and paste the link of the webpage which you want to add the Meta tags. You will get the results in a few minute after you have clicked on the generate Meta tags. There are so many tools and you can use any as long it is compatible with your computer. Meta tag tools will come in handy for website owners. Increasing your web presence is a guaranteed way to increase the traffic on you website. Your site will appear among the top list on the search engine result if you use the right Meta tags. If you are looking for ways to increase the number of visitor to you website, then you need to increase your online presence. It is a guaranteed way to increase the money which you get from your website. You will reap the benefits of using the right Meta tags. You are in control of improving your site’s presence in the online platform.